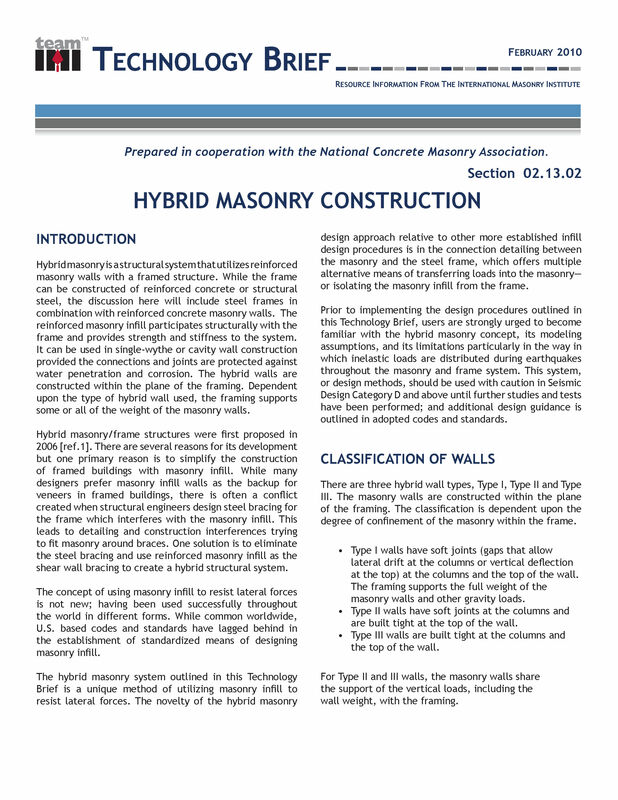 Hybrid masonry is a structural system that utilizes reinforced masonry walls with a framed structure. While the frame can be constructed of reinforced concrete or structural steel, the discussion here will include steel frames in combination with reinforced concrete masonry walls. The reinforced masonry infill participates structurally with the frame and provides strength and stiffness to the system. It can be used in single-‐wythe or cavity wall construction provided the connections and joints are protected against water penetration and corrosion. The hybrid walls are constructed within the plane of the framing. 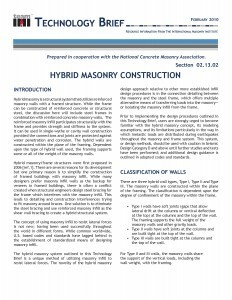 Dependent upon the type of hybrid wall used, the framing supports some or all of the weight of the masonry walls.